Vans and pick-ups could soon be taxed according to their emissions, rather than the current flat £250 VED rate. The Government has launched a consultation about the possibility of reforming van tax, replacing it with a system that would encourage owners to buy vehicles with lower emissions and penalise those who opt for dirtier models, just like car tax. The consultation suggests a graduated first year rate of tax for new vans, as is already in place for cars. If the proposals are approved, it would mean the introduction of a first-year road tax rate based on the van’s CO2 emissions, but the Government has said it plans to make the initial rate lower for most vans than the existing standard rate of £250, to encourage buyers to go for new, cleaner models. After the first year, vans would be taxed on a standard rate, which means they would return to a flat rate system in subsequent years – but the Treasury has not said how much this might cost. Under the proposed system, alternative fuel vans would receive a £10 annual VED discount, while full electric vans that do not generate any tailpipe emissions would be completely tax exempt, both of which are the case for cars. Again replicating the car VED system, plug-in hybrid vans, such as the Mitsubishi Outlander PHEV 4Work, would be charged slightly more because they do generate CO2 emissions, albeit a lower amount than conventional petrol and diesel models. In addition to VED, the consultation also states that the government is investigating the Van Benefit Charge and the Van Fuel Benefit Charge, so these could also be subject to change in future. The Government is asking for views from van manufacturers, operators and drivers, among other groups. The results will be incorporated in the 2018 Budget, which is expected to take place in November. >> What type of licence do you need to drive a van? 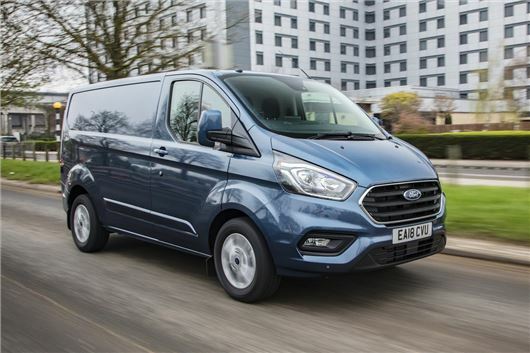 The Government claims that van tax has lagged behind car tax – which, like current van VED, used to operate on a flat rate based on engine size and still applies to models registered before April 2001 – and that van VED needs to move with the times. According to the Treasury, less than one in every 200 vans registered in 2016-2017 was an ultra-low emission model, with CO2 emissions of 75g/km or less. "We want to help white van man go green," said exchequer secretary to the Treasury, Robert Jenrick, "we appreciate that buying a new van is a major investment for small businessmen and women and want to help make environmentally friendly choices more affordable."